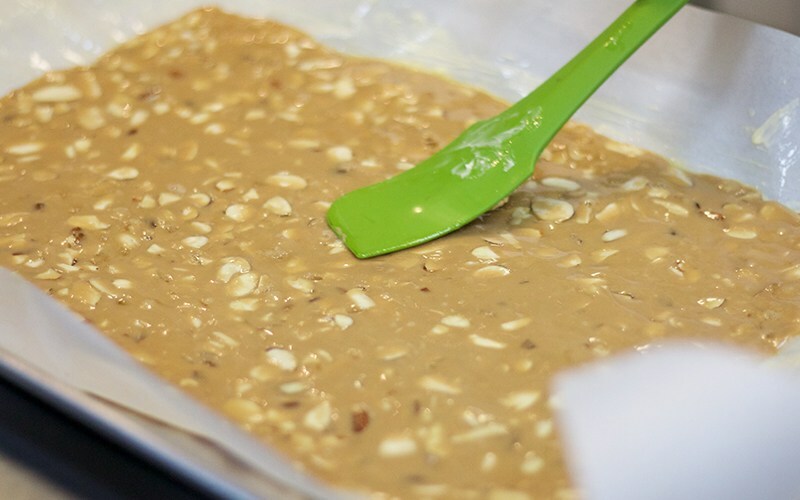 Saturday morning at 6am I was still half asleep, but had one thing on my mind…Toffee! Backstory- A few months back, someone brought a bag to the office of the best looking/best-tasting toffee I have ever tried. I didn’t think I even liked toffee, but wow this stuff was good. Originally, I said no to trying a piece, but this man would not give up and really encouraged me to try some. When I finally caved, it was magical. Okay maybe I won’t go all Disney princess on you all, but I took a bite and just stared at him. Fireworks. At this point I already had my blog going and was always running with ideas on who I wanted to interview or meet for The Olive Brunette. 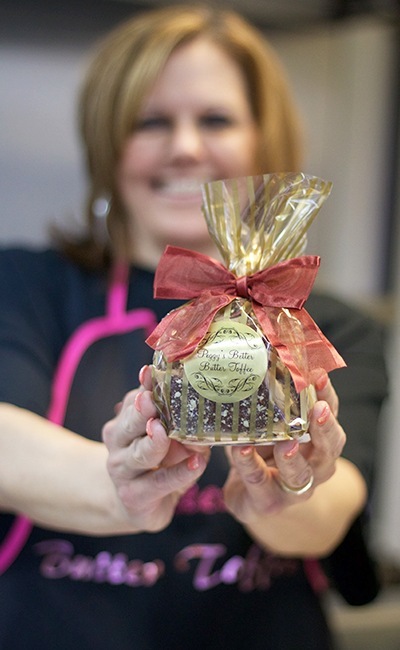 I immediately started asking this toffee man who the creator of this genius treat was and how I can contact her. Keep in mind that when I try something I am never one to be jumping up and down, raving about what I just put in my mouth. This was different. Someone was taking over my body. Anyways, I finally got in contact with the genius behind this sweet treat and was so so happy! 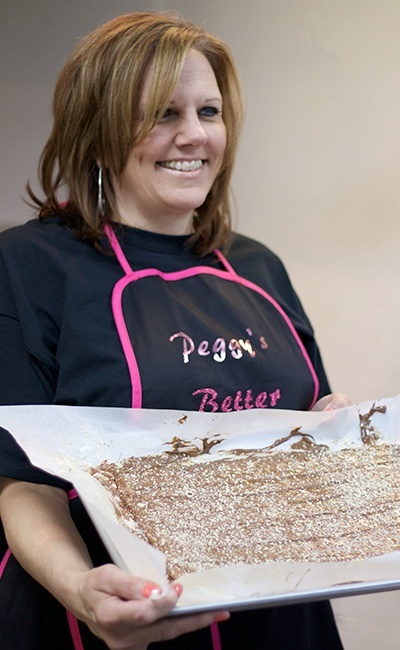 Without further ado, I would like to introduce you to the sweetest lady and toffee genius, Peggy Wehbe. 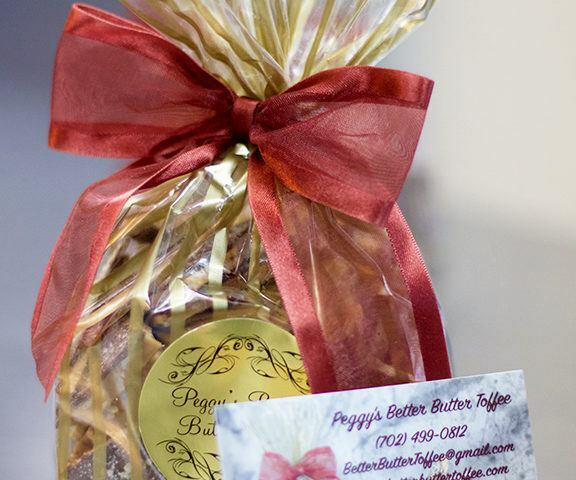 Peggy owns a company called Peggy’s Better Butter Toffee and she HUSTLES to get her product out there. 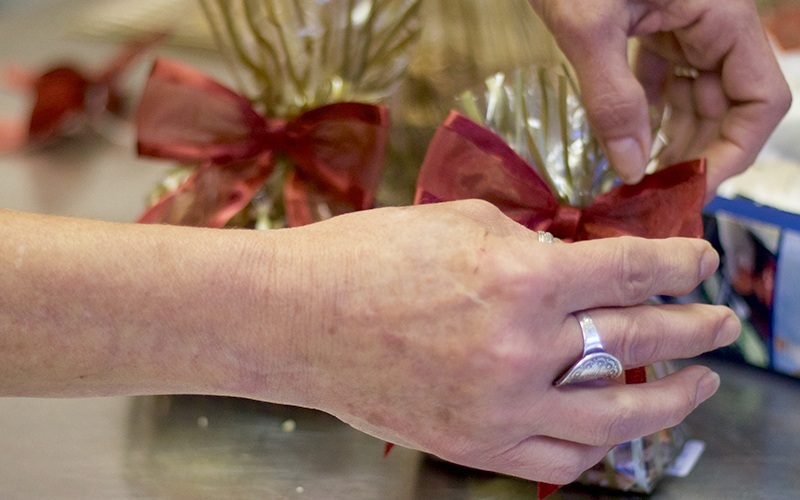 This woman is up at the crack of dawn making toffee for various occasions WITH A SMILE. 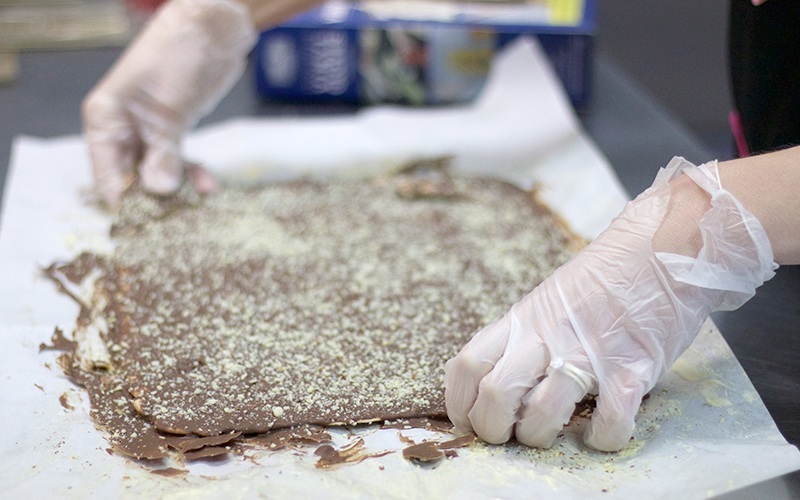 I had the pleasure of meeting with Peggy and her assistants, Havilah and Valentina, to get a behind the scenes look into how the toffee is created. I learned that this recipe has been passed down from generation to generation and got its start in England from Peggy’s great grandmother. She got the recipe from her mom at the age of 15 and has not looked back. That’s love and dedication right there. 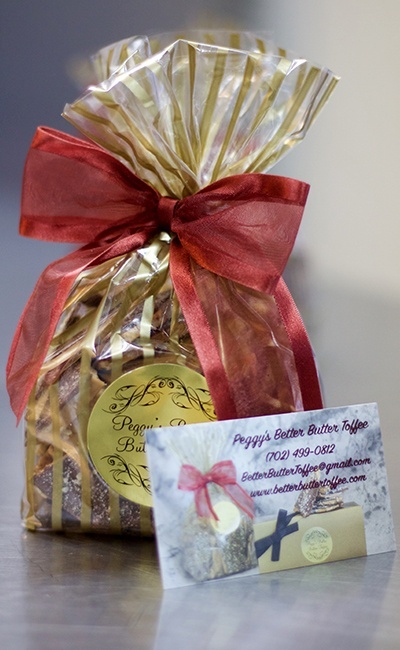 Not only does Peggy make THE BEST TOFFEE, but she owns a cleaning business and works for a local title company. As I continue this journey with The Olive Brunette, I’m learning that each experience is teaching me a new lesson. 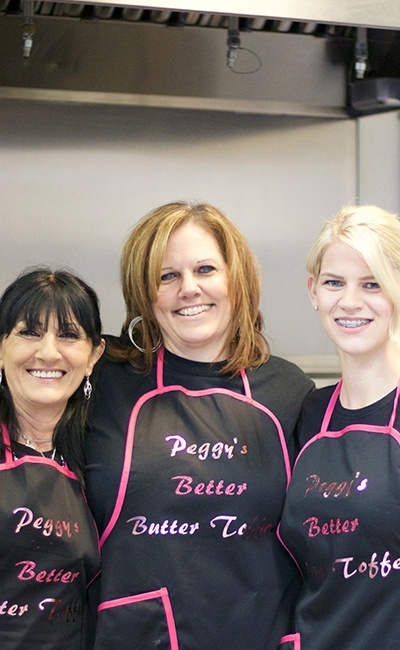 If Peggy can get up before the sun rises to make toffee, manage/run a cleaning business and work for a title company, then I can really do anything and everything I set my mind to. Life’s a journey, patience is a virtue, and our time is precious. With that being said, I encourage you all to take in every second of every day as if it’s your last and remember that you are exactly where you need to be. 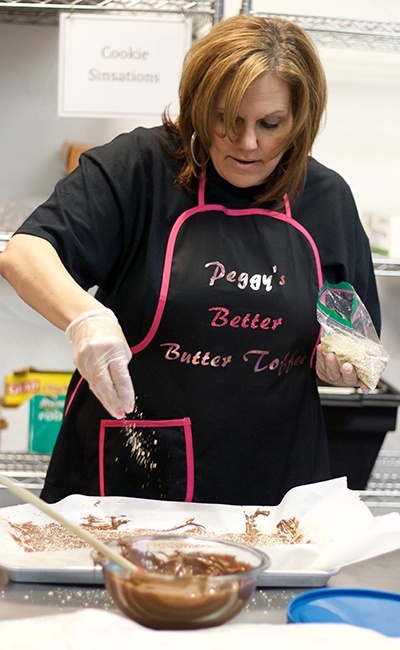 Huge shout out to Peggy for giving me a peek into her world of toffee. 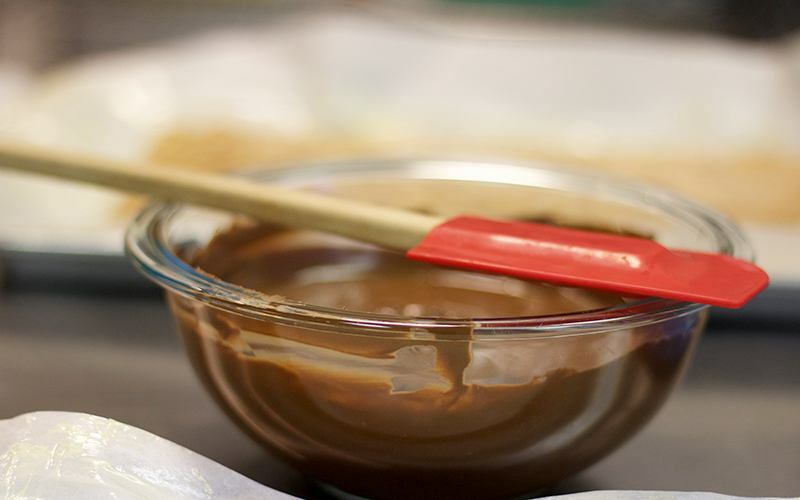 Definitely give her toffee a try and I promise you will not be disappointed. Check her out here on Facebook to place your order today. I want to try some!!! it looks delicious!!.. nicely documented the whole process, great story telling. YUMMMM!!! I can’t wait to try some!! 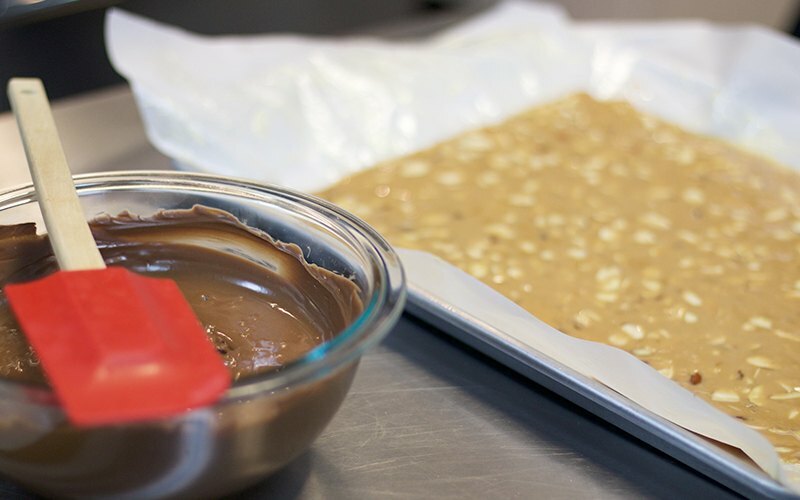 The pictures make me want to taste the toffee! The toffee is amazing! Best I’ve ever tried. Hi it’s me, I am also visiting this website daily, this website is in fact nice and the users are truly sharing nice thoughts. I love it when people come together and share views, great site, keep it up. 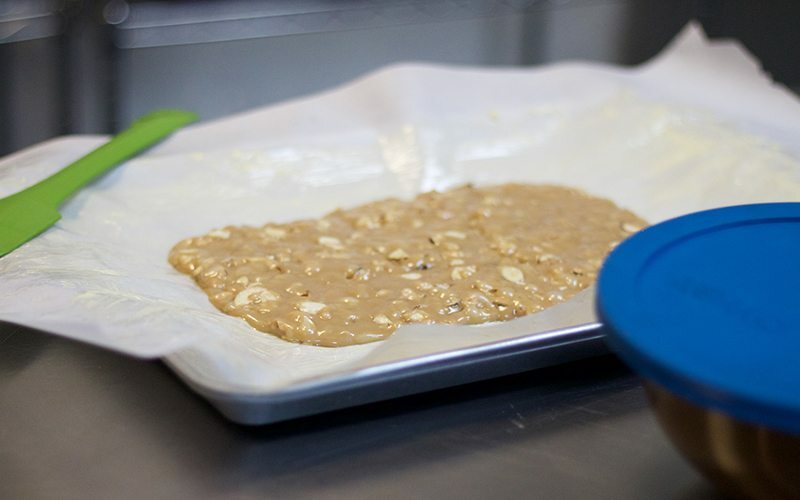 The toffee looks tasty! I have to try some. Does Peggy offer classes? That would be fun! Oh, that’s a good question!! I will have to get back to you on that one. 🙂 That would be one fun class!! to browse your site on my iphone during lunch break. I enjoy the knowledge you provide here and can’t wait to take a look when I get home. remember to bookmark your blog aand will eventually come backk someday.